As a company ranking among the biggest defense companies in Defense News Top 100 list, STM proved its experience in cyber security and IT with an international agreement. 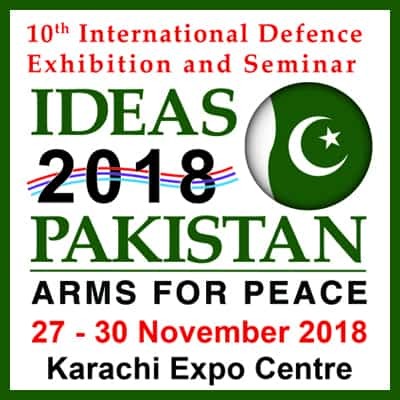 At IDEAS 2018, a Document of Understanding (DoU) was signed by STM and Pakistan Air University under the leadership of the Presidency of Defence Industries (SSB) of the Presidency of Rebuplic of Turkey. With this agreement, STM will provide significant solutions in integrated cyber security, big data and IT domains. STM Savunma Teknolojileri Mühendislik ve Ticaret A.Ş. expands its business in Pakistan. Following the cooperation in naval programs under the leadership of the Presidency of Defence Industries, it now moves to different areas. At IDEAS 2018, STM signed a Document of Understanding (DoU) with Pakistan Air University for cyber security and IT. The signing ceremony was held with the participation of Mustafa Murat Şeker, SSB Vice President; Murat İkinci, STM General Manager; Air Vice Marshal Faaiz Amir, Vice Chancellor of Pakistan Air University; and officials. The agreement will increase the cyber security capabilities of Pakistan Air University, which sets up cyber security strategies of Pakistan and is responsible for the establishment of Pakistan’s National Center of Cyber Security (NCCS). STM will organize special training and internship programs in cyber security and IT for Pakistan Air University students and faculty; organize international conferences and workshops; give consultancy to research projects in graduate programs; and support the infrastructure for the establishment of the National Cyber Security Center (NCCS) at the university. This agreement aims to increase the national cyber security capabilities of the friendly country Pakistan thanks to STM’s integrated cyber security efforts and capabilities. STM has been serving the defence industry for more than a quarter century in the fields of engineering, technology and consulting. Today, STM makes use of its basic skills and technologies in various strategic areas including naval platforms, satellites, cyber security, big data analytics and artificial intelligence to carry out critical projects as required by Turkey and friendly countries.